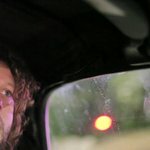 Music Video of the Song 'Deflecting Light' by Ben Wilkins Filmed one particularly eerie night on Ventura Boulevard in Los Angeles. Video Credits Produced by TCHUTI Written and Directed by Robin Cerutti Featuring : Ben Wilkins Cinematography : Robin Cerutti Special thanks to Olivier Rivest FACTOR The Foundation Assisting Canadian Talent on Recordings with support from Canada's private radio broadcasters All From Hello album credits All songs composed, arranged and written by Ben Wilkins Produced, recorded and mixed by Pascal Shefteshy at Studio PM in Montreal Bonnie Pointer recorded at Flux Studios in New York City Mastered by Bernie Grundman at Bernie Grundman Mastering in Los Angeles Lead vocals, Steinway 9’ grand piano, Fazioli 7’ grand piano, Steinway upright piano, Yamaha cp10, Yamaha sk50, Yamaha CS-50, Korg delta, Roland Jupiter 4, Juno 106, Arp Odyssey, Moog Taurus, Moog Voyager, Hammond B3, Wurlitzer, Clavinet, Pianet, Vibraphone, and Glockenspiel - Ben Wilkins. Lead Vocals (Verse 2) in Day to Day - Bonnie Pointer. Backing Vocals - Bonnie Pointer, Malika Tirolien, Kwansa Shelly. Bass - Alex Lefaivre. Drums - William Côté. Percussion - Kiko Osorio. Banjo - Joe Grass. Electric Guitar - Pascal Shefteshy. Saxophone & Flute - Adam Kinner. Sousaphone - John Dodge. Violins & Violas -Maria Demacheva.